Experience the Arabian street running. 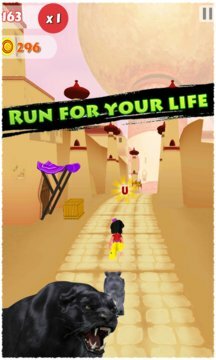 A black panther is chasing you ,you need to escape from it and face all obstacles .you have unlimited draggers to throw at your obstacles. - Touch game play – swipe the screen and help him to avoid the many dangers that await on the road. - Freedom of movement! Dodge! Jump! Roll! FLY!! - Burn up the road dodging the traffic and other dangers on the journey! - Stay alert! There are thousands of obstacles you’ll have to dodge! 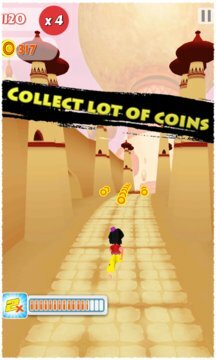 - Competitive play - run past your buddies' high scores in the game and become the top runner!